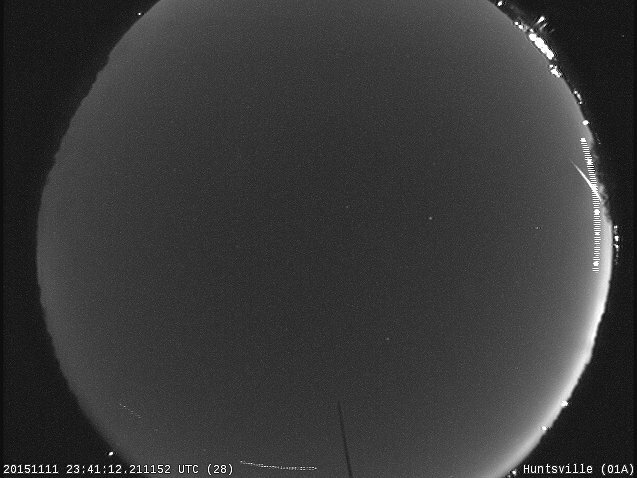 On November 11 at 5:41:17 PM CST there was a fireball detected on two NASA cameras; one located at Marshall Space Flight Center in Huntsville, Alabama and the other in Tullahoma, TN. 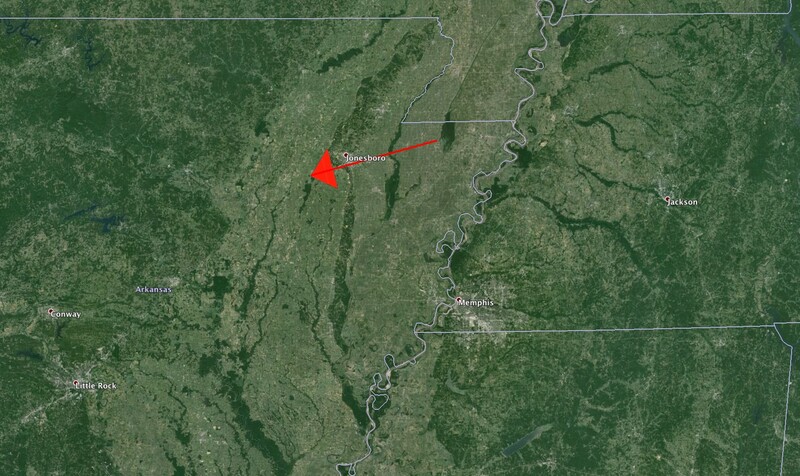 Last evening’s fireball was just across the Tennessee/Arkansas border over the town of Jonesboro, Arkansas (NW of Memphis – see ground track image below). Speed was about 43,000 mph, and the object weighed around 10 pounds (6 inches in diameter). The orbit, which extends well beyond Mars, indicates that the meteoroid is a piece of an asteroid. 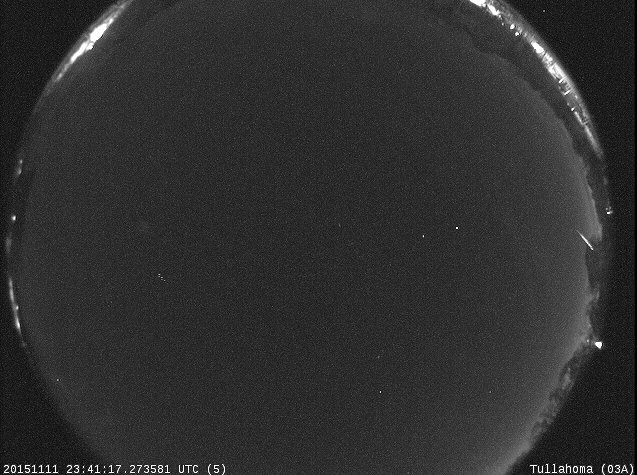 Previous Previous post: The Taurid Swarm is Upon Us!